Simple use case……you want to connect to a customer system over the internet. The customers system has an API but requires 2-way SSL. This means we have to send a client certificate along to make sure the SSL handshake can be completed. If your server has already a server certificate installed, it will send this one along by default but the customers system won’t accept it as it is different then what it trusts. In the next section, I will explain how to add a client certificate to an outgoing OSB call. Let’s say I want to connect to my favourite climbing shop www.mountaingear.com as they have a nice backend api to take orders. The guys from mountaingear.com created a certificate for me to send along with the call. First I am going to generate a keystore with a private key in it, to simulate the certificate which the third party gave to me. 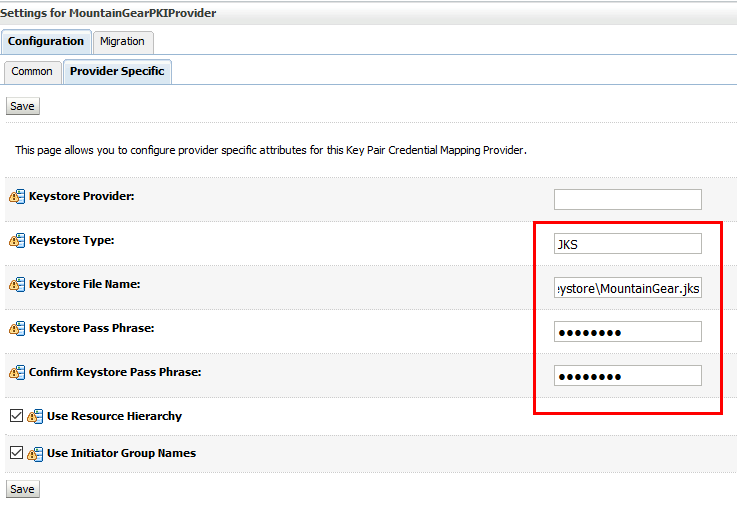 If I open the created JKS using keystore explorer I see a keypair we just created. Copy the jks to my OracleHome say ORACLE_HOME/keystores. New –> Set your name here. Mine is MountainGearPKIProvider. Set the type to PKICredentialMapper. Click OK to finish. Restart the Admin server for the changes to take effect. Restart the Admin server again for the changes to take effect. After this, go to the SBConsole and start a new session. In a project, create a folder which will hold the ServiceKeyProvider. Mine will be in my Accounts project. 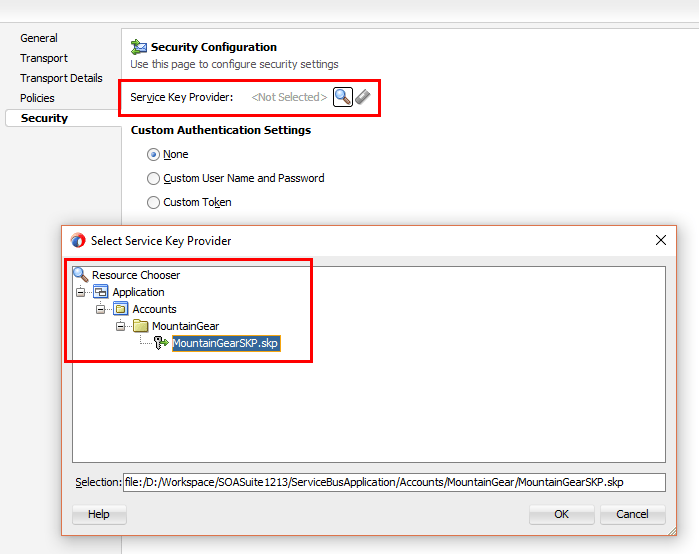 Create a ServiceKeyProvider in this new folder and select using SSL Client Authentication the right certificate. Set the password, save it and activate it. The reason why we do this in the OSB console is that it cannot resolve the PKIProvider in JDeveloper. The only work around is to create it on the server and then export your project and import it into JDev. After you have done this, you can see your ServiceKeyProvider. The last step now is to make sure it is send along with a flow. The only thing we have to do, to accomplish this is to select the proxy service and go to the Security tab. Here you can select the Service Key Provider. 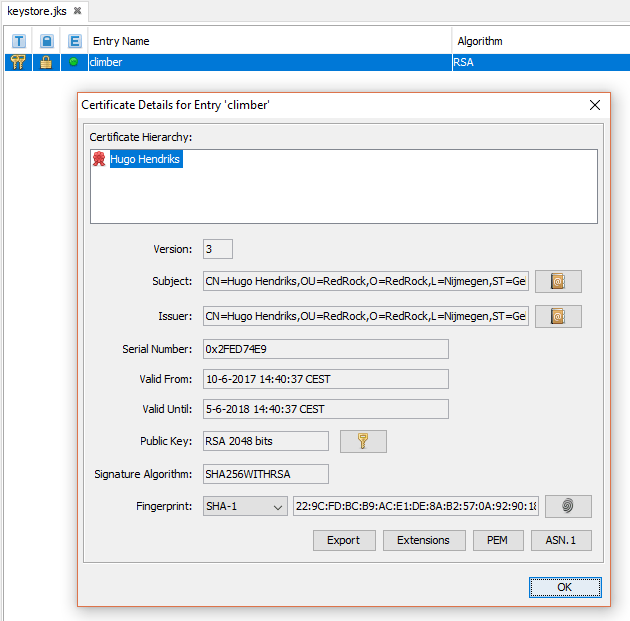 This entry was posted in JDeveloper, Oracle Fusion Middleware, OSB and tagged 12C, certificate, OSB, service key provider, SSL by hugohendriks. Bookmark the permalink. The steps you have listed seem to describe only one part of the 2-way SSL setup. 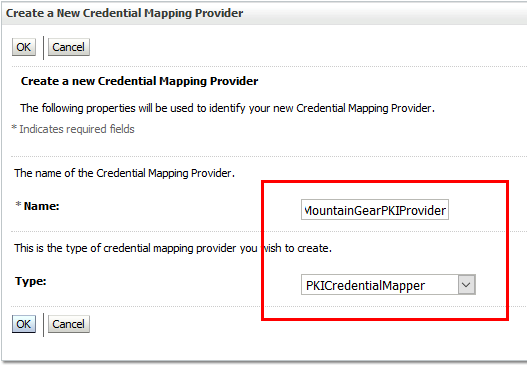 1) How did the service provider (mountaingear) trust “your” public key? You are right about that. I only listed here the part of configuring the PKI and the SKP. 1) The side of MountainGear trusting my certificate is the same as the step here below. As this is not my infrastructure, this is not my issue 🙂 Normally it wouldn’t be a self signed certificate as I commented in the article but a real certificate signed by a trusted CA…..for example Verisign. So MountainGear only would have to add the Verisign CA to their trust store. Good to hear you guys succeeded. I generated the keystore including a key but you can also import them using various tools. I guess there can be some inconsistencies when importing or creating the key which then can affect the ability of the servicebus to recognize it. We have a .pfx file through which we built connection successfully with the third party website through SOAP UI. How to do the same in Weblogic using the same .pfx file? A .pfx file is a Windows certificate backup file which actually contains the private key and certificates. You need to seperate them and import them. See here https://www.digicert.com/ssl-support/jks-import-export-java.htm how to do this.